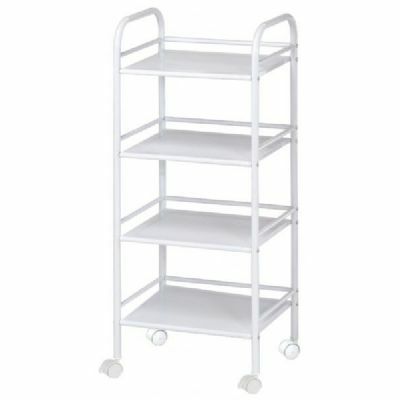 Storage that is mobile and aesthetically pleasing! Available finishes are complimentary to home decor; matte powder-coated black and white, as well as chrome-plated. Side and rear shelf rails keep contents from falling off the edge. All configurations have the same size shelf: 14 ½" wide x 12" long. Vertical space between shelves: 8 ½". 56 points will be rewarded when you are logged in to your account and buy this item.